봉황산 중턱에 있는 부석사는 신라 문무왕 16년(676)에 의상대사가 왕명을 받들어 화엄의 큰 가르침을 펴던 곳이다. 무량수전 뒤에는 ‘부석(浮石)’이라고 새겨져 있는 바위가 있는데, 『삼국유사』에 있는 설화를 보면, 의상대사가 당나라에서 유학을 마치고 귀국할 때 그를 흠모한 여인 선묘가 용으로 변해 이곳까지 따라와서 줄곧 의상대사를 보호하면서 절을 지을 수 있게 도왔다고 한다. 이곳에 숨어 있던 도적떼를 선묘가 바위로 변해 날려 물리친 후 무량수전 뒤에 내려 앉았다고 전한다. 또한 조사당 앞 동쪽 처마 아래에서 자라고 있는 나무는 의상대사가 꽂은 지팡이였다는 전설도 있다. 조사당은 의상대사의 초상을 모시고 있는 곳으로 고려 우왕 3년(1377)에 세웠고, 조선 성종 21년(1490)과 성종 24년(1493)에 다시 고쳤다. 앞면 3칸·옆면 1칸 크기로, 지붕은 옆면에서 볼 때 사람 인(人)자 모양을 한 맞배지붕으로 꾸몄다. 처마 내밀기를 길게하기 위해 올린 공포가 기둥 위에만 있는 주심포 양식이며, 건물 자체가 작은 크기이기 때문에 세부양식이 경내에 있는 영주 부석사 무량수전(국보 제18호)보다 간결하다. 앞면 가운데 칸에는 출입문을 두었고 좌우로는 빛을 받아들이기 위한 광창을 설치해 놓았다. 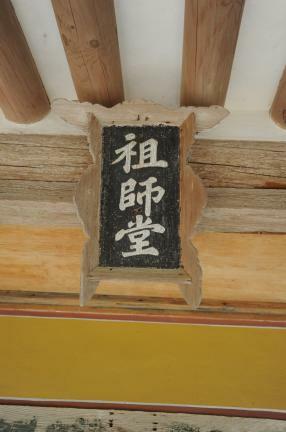 건물 안쪽의 좌우에는 사천왕상·보살상 등 고려 후기에 그려진 벽화가 있었다. 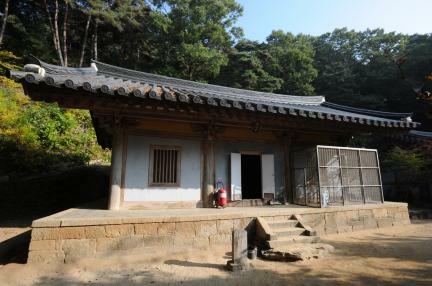 이것들은 고려시대 회화 가운데 매우 희귀한 것으로, 고분벽화를 제외하면 가장 오래된 채색 그림 중 하나였다. 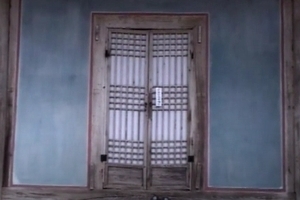 지금은 보호각을 지어 보관하고 있으며, 원래 벽화가 있던 자리에는 본떠 그린 그림을 놓아 당시 벽화의 모습을 잘 전해주고 있다. 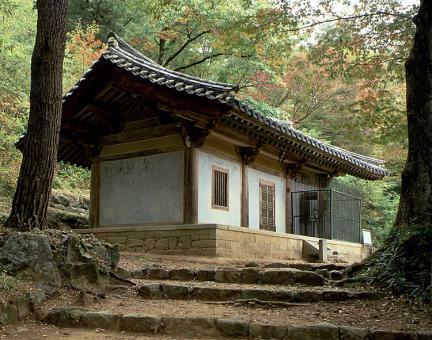 Buseoksa Temple, located on the mid-slope of Bonghwangsan Mountain, was built by the Buddhist monk Uisang in 676 (the 16th year of the reign of King Munmu of the Silla Dynasty) by royal order. 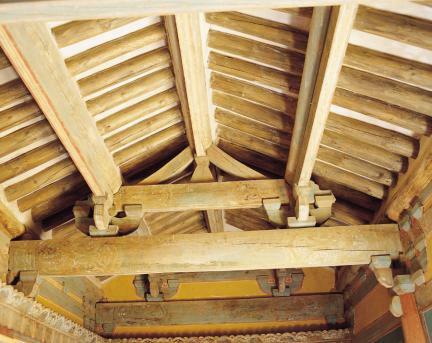 According to Samguk yusa (Memorabilia of the Three Kingdoms), a woman who adored Uisang was transformed into a dragon and followed him to this area upon his return from a period of study in the Tang Dynasty. 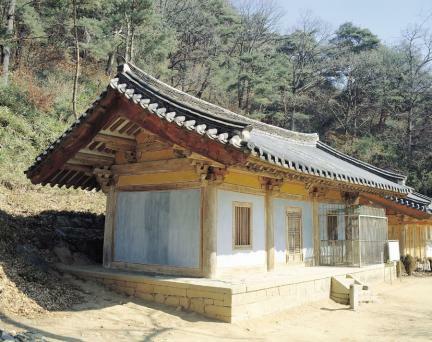 Then, she defeated a band of thieves hiding out in this area before resting behind Muryangsujeon Hall. 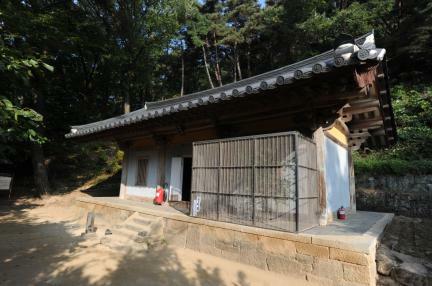 According to a local legend, the tree below the eastern eaves in front of Josadang Shrine grew from a cane planted by Uisang. 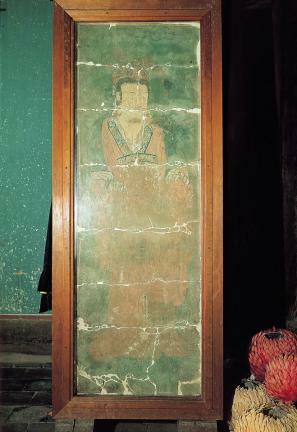 Josadang Shrine is the place in which a well-known portrait of Uisang is enshrined. 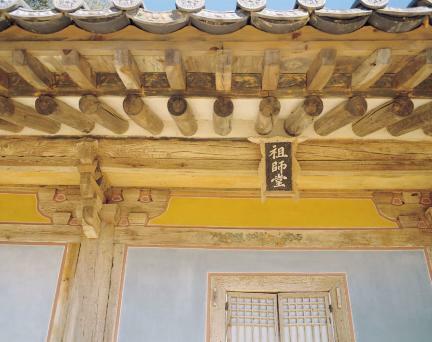 It was first built in 1377 (the 3rd year of the reign of King U of the Goryeo Dynasty), and was repaired in 1490 (the 21st year of the reign of King Seongjong of the Joseon Dynasty) and 1493 (the 24th year King Seongjong’s reign). 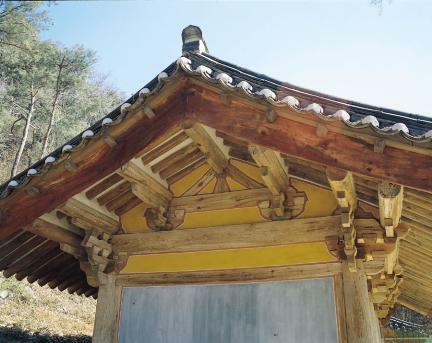 The building is small, so the detailed structures are more compact than those of Muryangsujeon Hall in the precincts of Buseoksa Temple. 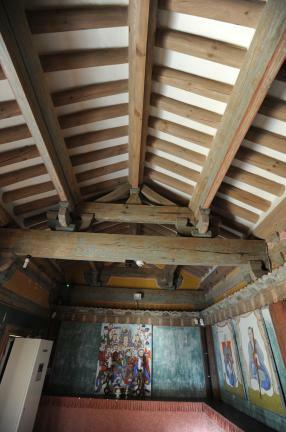 The left and right sides of its interior were painted with murals during the late Goryeo Period, including images of the Four Guardian Kings and a Bodhisattva. 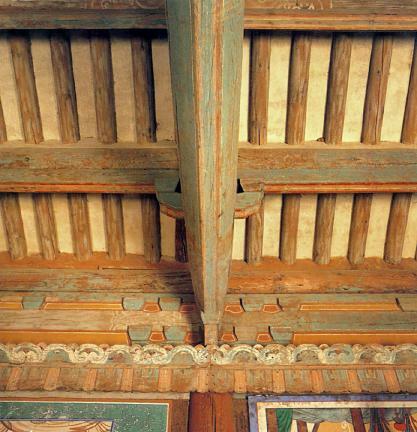 They murals are among the rarest paintings made in the Goryeo Period, with the exception of the mural paintings of ancient tombs, and are some of the oldest colored paintings in Korea. 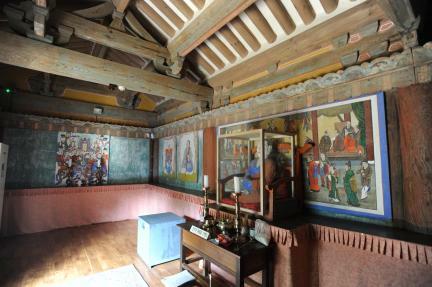 They have been replaced by excellent copies and are now housed in a special protective building.